Hi everyone, I’ve received quite a few questions about how we are liking Family Time Fitness! And I have to say that we still love it! Most of you know that I did a review and giveaway for Family Time Fitness back in October, you can read it here. Since we are having so much fun with this program, I wanted to do another giveaway for you! And with the start of a new year, what better time to start up a commitment to improve your physical fitness! Family Time Fitness does provide lesson plans for daily use, however we typically do it 2-3 times per week time allowing. I really love their focus on physical education, and even get reminder emails sent to my inbox to encourage me to do the lessons! One of the things I like most is The Family Time Fitness YouTube channel. Here you can see videos on all of the exercises to make sure you are doing them correctly, and also informational videos as well! Very helpful! 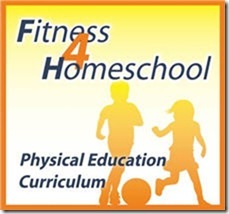 Family Time Fitness is offering one Free Core Curriculum and Workbook to one of you! The give away will be open until midnight EST Friday February 17, 2012. Winner will be announced by Sunday February 19, 2012. If prize winner forfeits or does not claim the prize, prize will be re-awarded at my sole discretion. You may be asked to provide name and address for physical prizes. This giveaway is offered to US residents only! Disclosure: Family Time Fitness provided me with a free copy of their product to review on my blog. The opinions I have given are mine and may differ from others but were not influenced by the company or the free product provided. I would love to win this, my sons are so cooped up in the winter, and I would love something different to follow. i would love enhance my family fitness. Winning this fitness curriculum would be great! 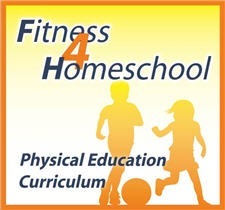 We’d love to add fitness into our home school day!